Award Winning Auto Repair Services; We are an ASE Certified Auto Repair Facility and are a 5 time AAA Top Shop Award Winner. Speak To A Complete Car Care Expert Today! 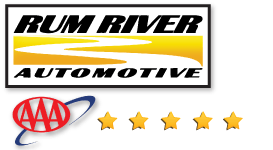 Top Auto Repair Service by the award winning Rum River Auto Shop in Princeton. Located at 101 4th Ave N, Princeton, MN 55371, Call 763-389-3811.